A big congratulations to Matt Van Pelt on passing your Commercial Check Ride! 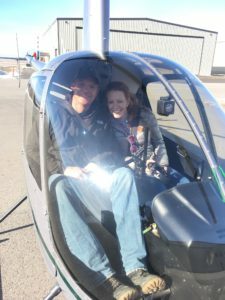 Matt began with Alpine Dec. 21st 2017 and passed his checkride on Jan. 15th 2018, less then 1 month! At Alpine Aviation we don’t mess around, save your time and money and get your helicopter flight training done with Alpine. Best of luck at your new job down in Texas!